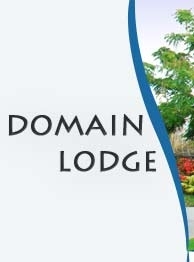 Domain Lodge is owned and operated by the Cancer Society, Auckland Division, a non-government funded organisation that is dedicated to improving community wellbeing by reducing the incidence and impact of cancer. 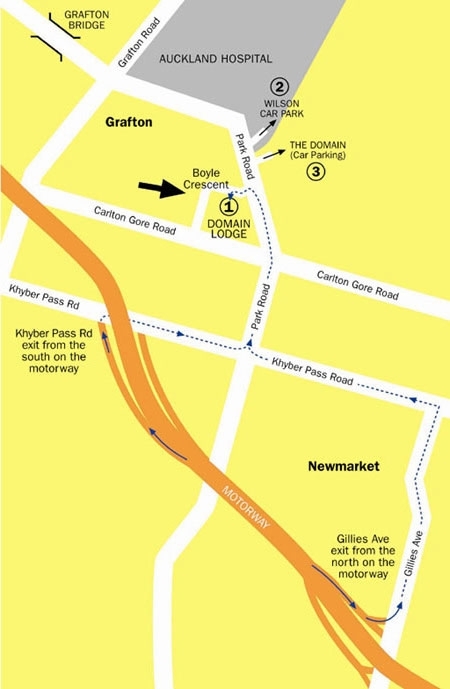 Domain Lodge is located at the corner of Park Road and Boyle Crescent in Grafton. The gates to the Domain, Botanical Winter Gardens and Auckland War Memorial Museum are across the street with Starship and Auckland Hospitals only a short stroll away. Public transport is available at the door every 10 minutes to the CBD, downtown waterfront, Ponsonby, Parnell, Newmarket and Grafton areas via the Link Bus service. The Lodge is also only a few minutes drive from two motorway junctions. Free undercover secure car parking is also available to all of our guests. From the Southern Motorway take the Khyber Pass off-ramp and turn right into Khyber Pass Road. At the next set of traffic lights turn left into Park Road. Boyle Crescent is the second street on the left. From the North Western Motorway take the Grafton off-ramp into Grafton Road. Follow the Hospital signs until you reach 2nd set of traffic lights, turning left into Park Road. 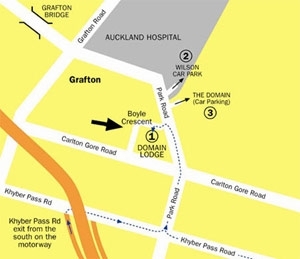 Travel past Auckland City Hospital and Boyle Crescent is the 3rd street on the right. From the Northern Motorway take the Gillies Avenue off-ramp turning left into Gillies Ave. Drive towards intersection with Khyber Pass Road. Turn left at the traffic lights into Khyber Pass and travel up the hill until you reach the intersection of Mountain Road. Turn right into Park Road and Boyle Crescent is the second street on the left.